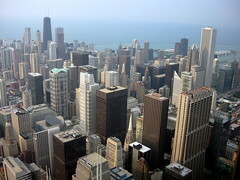 Hey Chicago, Get Healthy With the Healthy In Chicago Blog! I was looking at my WorkingWellResources blog subscribers and noticed that I’ve got a few blog stalkers. OK, not stalkers, just fans. One of them is Healthy In Chicago, an easy to read, fun and accessible blog about healthy lifestyle choices for Chicagoans. What I like about this blog is that it’s not about being perfectly healthy. The blogger admits that it’s about trying to do his/her best at making healthy lifestyle choices. I am certainly not perfect either. I often have to check myself to see if I am practicing what I preach. And sometimes I fall short of the optimal healthy guidelines I would like to adhere to. I am human. And so are my clients. WE strive for our ideals but don’t get overly critical of ourselves when we fall short of perfection! This attitude of acceptance and moderation helps me be less critical and judgmental of my clients and allows them to share their successes and weaknesses with me more easily. So I am happy to introduce you to another blogger that has a similar positive, but not fanatical, outlook on Wellness. Chicago, Meet HealthyinChicago on the blog here. To follow Healthy In Chicago tweets, check out @HealthyNChicago. Who is the Author of Healthy In Chicago? The blogger chooses to remain anonymous, but did post some fun factoids about him/herself. Is someone who doesn’t always ”practice what they preach” in terms of health advice. I am not the perfect pinnacle of health. I truly believe in moderation and not depriving myself of things (food and drinks) I love, which doesn’t always fit within the “recommendations” of healthy living.